A “Shot on iPhone” film about wildlife conservationists visits a watery realm. A short documentary about the Maldives Whale Shark Research Programme is the latest entry in the “Shot on iPhone XS” campaign, which shows what’s possible with the the advanced cameras in Apple handsets. 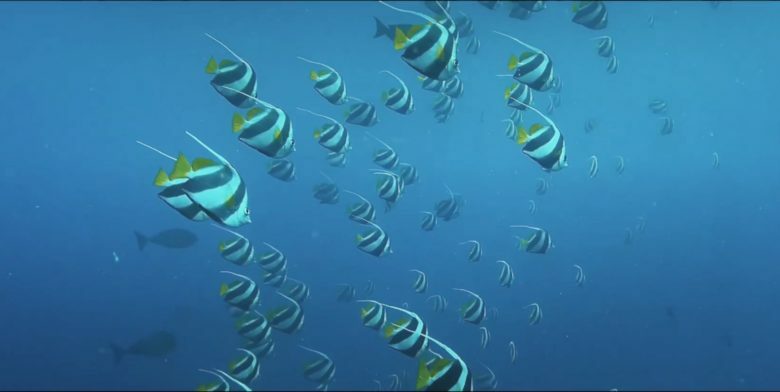 The director of “Shot on iPhone XS — The Reef, Maldives” is Sven Dreesbach. Cinematographers are Carlos Vargas and Sven Dreesbach. This isn’t a how-to on using an iPhone to film under the ocean, so there are no descriptions on how this documentary was made. The handsets that show up in this film appear to be in protective cases. Recent iPhones can survive if they are fully submerged in water as deep as two meters for up to 30 minutes, but filming likely went on for much longer, and in deeper water. The MWSRP software is available on the App Store.